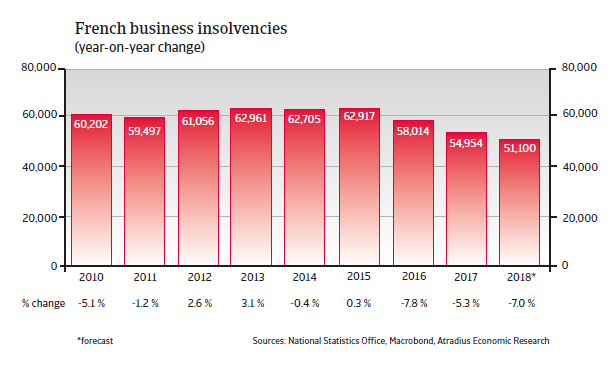 With about 55,000 business failures recorded in 2017 the number of insolvencies was still as high as during the start of the credit crisis in 2008. 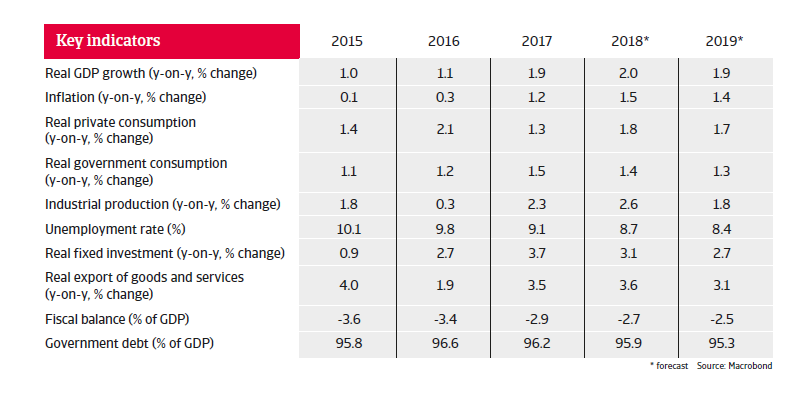 French business insolvencies decreased by about 5% in 2017, and in 2018 another 7% decline is expected, in line with the on-going economic rebound. However, with about 55,000 cases in 2017 the number of business insolvencies was still as high as in 2008. After several years of rather feeble GDP increases of around or even less than 1%, French economic growth picked up in 2017 growing 2%. This rate is expected to continue in 2018 and 2019. The rebound is driven by higher export growth and improved business and consumer confidence. 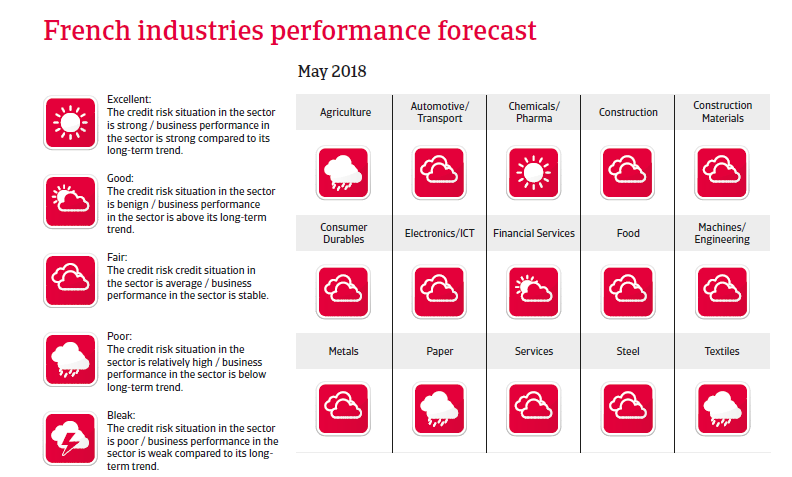 Lower business taxes support investment growth, while some labour market reforms help to reduce unemployment and to support household consumption. However, corporate debt has increased to more than 70% of GDP, and further increases could make French businesses vulnerable to faster than expected interest increases by the European Central Bank. After repeatedly failing to meet the Maastricht deficit threshold of 3% of GDP, the budget deficit decreased below this threshold in 2017 and is expected to remain so in 2018 and 2019. However, at about 95% of GDP (up from 67% of GDP in 2008), French public debt remains among the highest in the eurozone. It seems that more measures are required to curb public spending, which, at 57% of GDP, is the highest in the eurozone.